As a business, are you wondering how to get more followers in your social media outlets? Make plans to come to this informative luncheon to gain knowledge on how to increase your social media marketing and increase your followers. 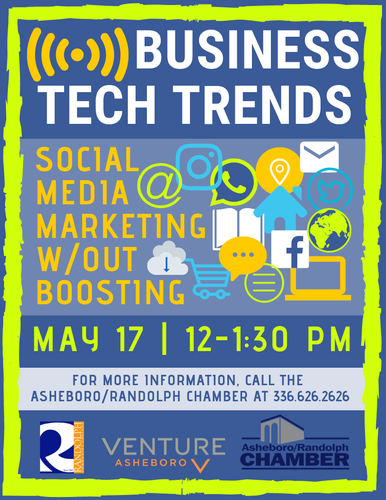 Brought to you by Asheboro/Randolph Chamber, Randolph Community College Small Business Center & VentureAsheboro. Register for only $10 (includes lunch) per person!